Human immunodeficiency virus (HIV) infection and its treatment with antiretroviral therapy (ART) are associated with lipid abnormalities that may enhance cardiovascular disease risk (CVD). Chronic inflammation persists in HIV+ individuals, and complex relationships exist among lipids and inflammation, as immune activation may be both a cause and a consequence of lipid abnormalities in HIV infection. Advances in mass spectrometry-based techniques now allow for detailed measurements of individual lipid species; improved lipid measurement might better evaluate CVD risk compared with the prognostic value of traditional assessments. 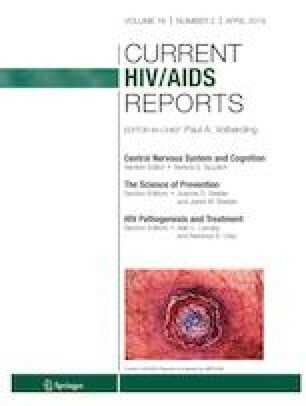 Lipidomic analyses have begun to characterize dynamic changes in lipid composition during HIV infection and following treatment with ART, and further investigation may identify novel lipid biomarkers predictive of adverse outcomes. Developing strategies to improve management of comorbidities in the HIV+ population is important, and statin therapy and lifestyle modifications, including diet and exercise, may help to improve lipid levels and mitigate CVD risk. Dr. Bowman declares that she has no conflict of interest. Dr. Funderburg serves as a consultant for Gilead.